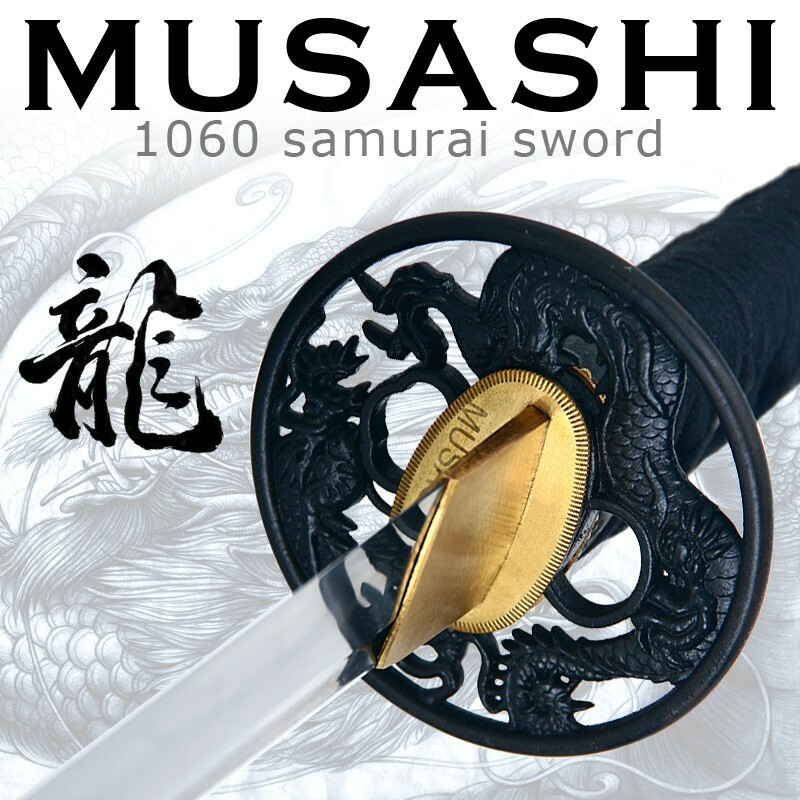 This is the Handmade Musashi 1060 Katana Samurai Sword Dragon Brown. 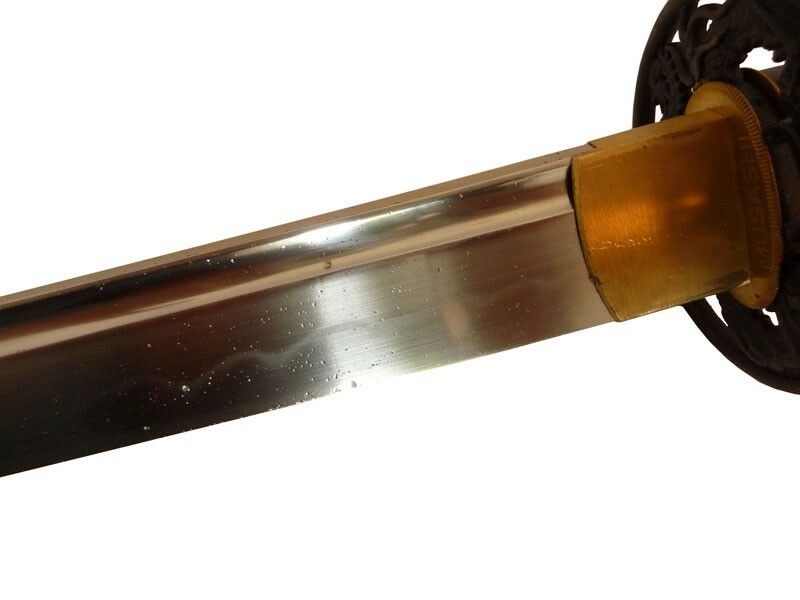 The blade of the sword has been constructed from 1060 differentially hardened carbon steel. The hamon of the sword is authentic in a midare gunome pattern. The blade is full tang and very sharp. 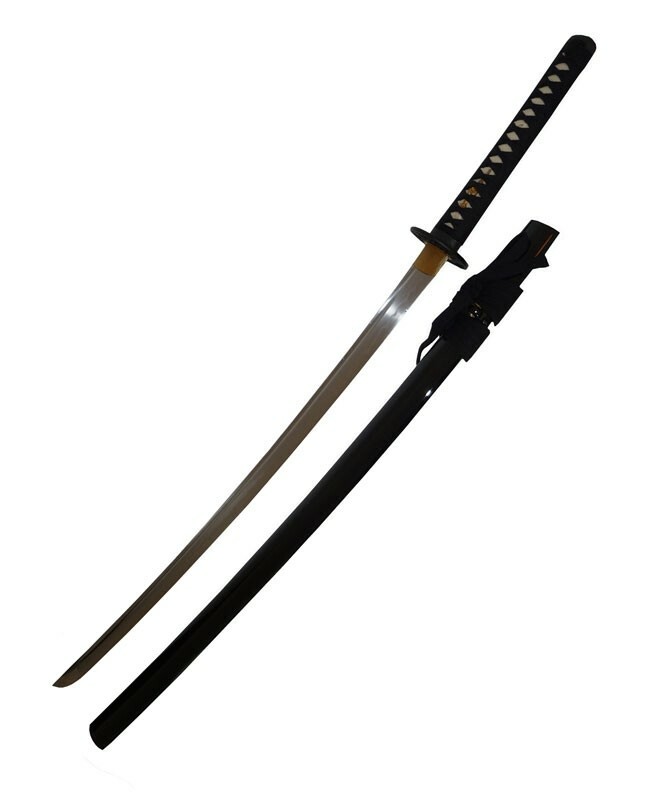 blade: The blade of the sword has been constructed from 1060 differentially hardened carbon steel. Saya: The saya is wooden with a high gloss burgundy finish and bull horn koiguchi. The sageo is black cotton. Tsuka: The tsuba is blackened steel with a sukashi dragon. The fuchigashira are black alloy with a dragon theme. The ito is black cotton over ray skin samegawa. The nakago is secured by two smoked bamboo mekugi. 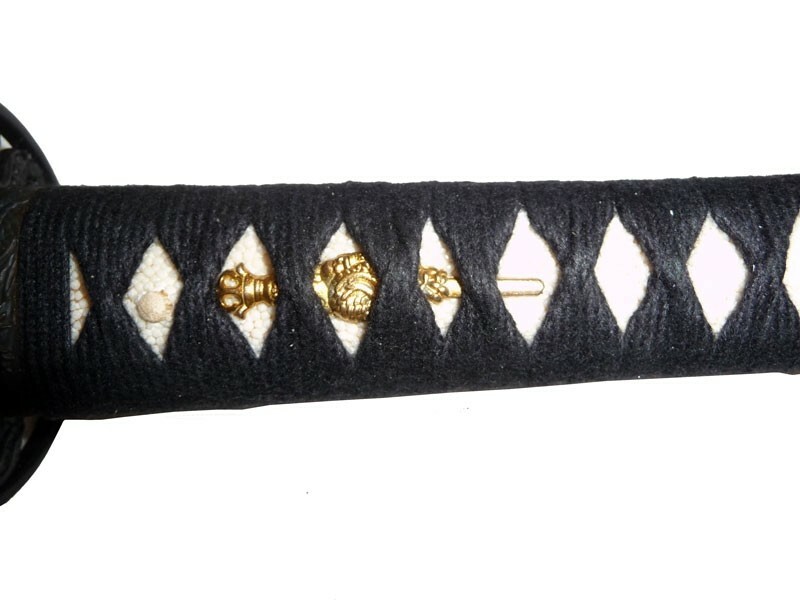 Details of the Tsuka or Menuki are provided on the pictures. If you refer to our information, there you will find the definitions of our swords.